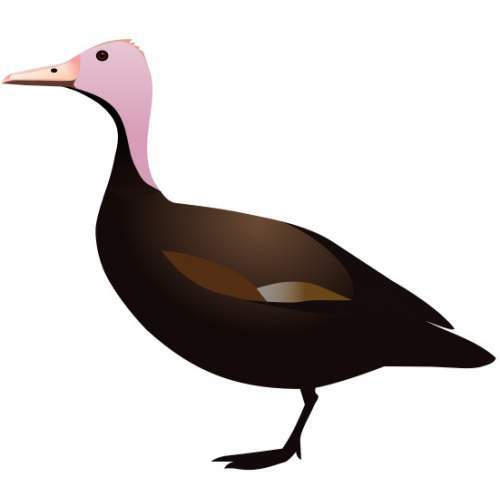 The Pink-headed duck (Rhodonessa caryophyllacea) belongs to the family of ducks, pochards, geese and swans, the Anatidae under the order Anseriformes. 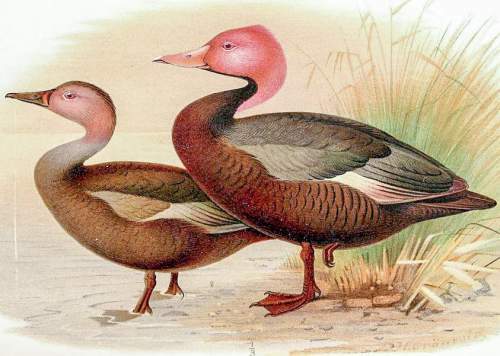 Several genera have been placed under the subfamily Anatinae, including Rhodonessa. 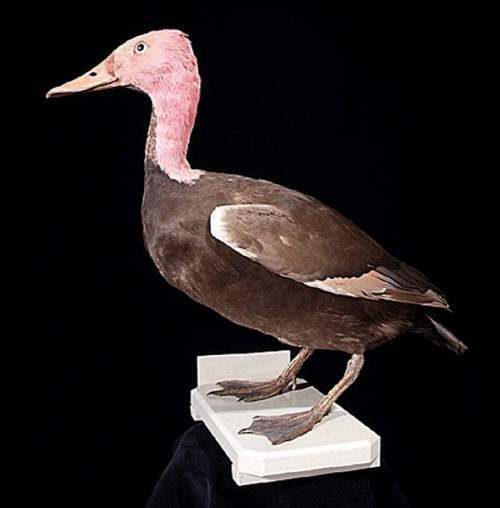 The genus Rhodonessa was first described by Heinrich Gottlieb Ludwig Reichenbach (January 8, 1793 – March 17, 1879), a German botanist and ornithologist, in the year 1853. 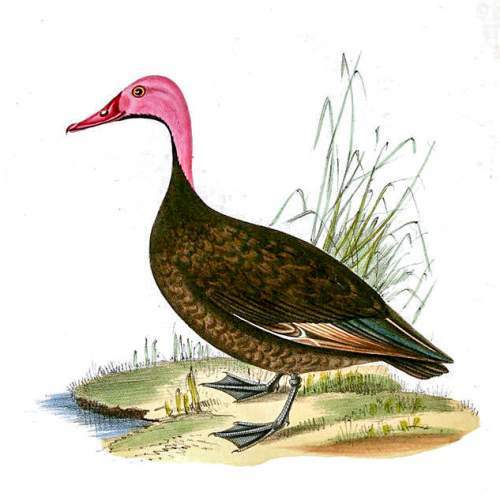 The genus Rhodonessa is monotypic and comprises the species Rhodonessa caryophyllacea. 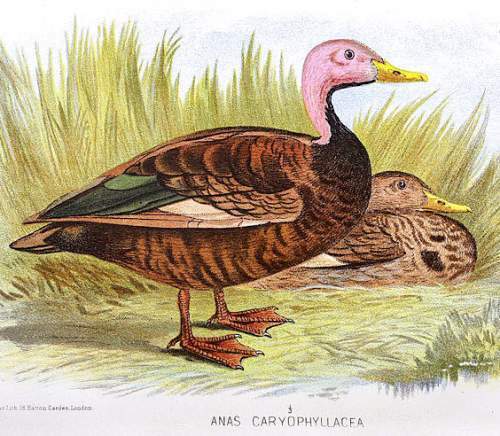 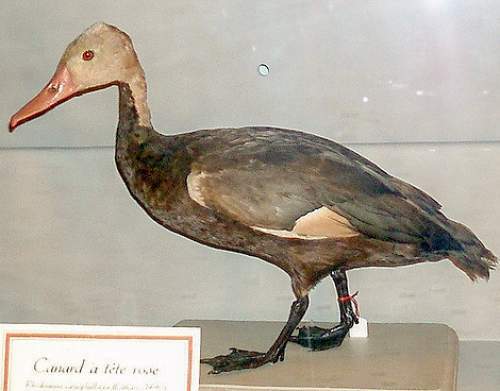 The duck species Rhodonessa caryophyllacea was first described by John Latham (27 June 1740 – 4 February 1837), an English physician and naturalist, in the year 1790. 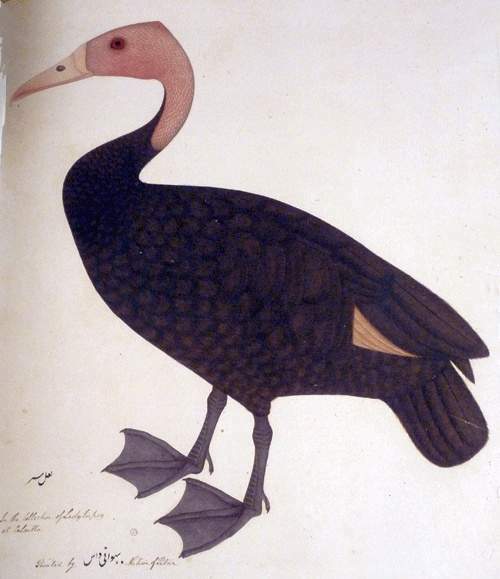 Image by T C Jerdon; (art) R.E.B. 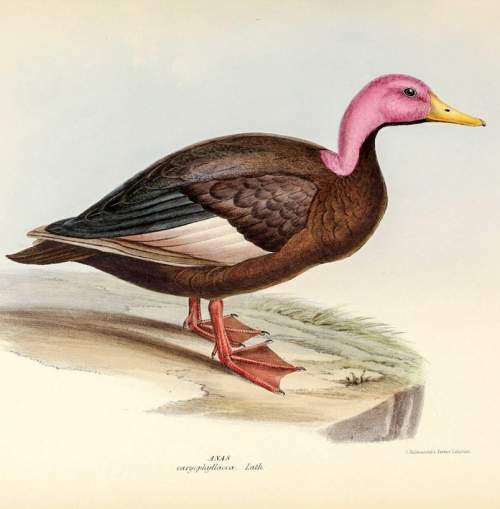 Current topic in Bird World: Pink-headed duck - Rhodonessa caryophyllacea images.